The Strategic Leadership mission is to develop more conscious strategic leaders. We believe that when leaders are more conscious of themselves and how they impact the people around them as well as their environment, they will create more sustainable strategies of benefit to both. In this way, as we help leaders change the way they lead, we believe we are making a contribution towards a better world. Our hand picked team of over 30 executive coaches and consultants have the single aim of developing conscious, strategic leaders. We have core offices in Germany, Iceland and the United Kingdom – but we work all over the world. What sets us apart? Our clients tell us that the work we do, DIRECTLY DRIVES the execution of their strategy. This increases business performance and strengthens their competitive advantage. Strategic Leadership clients range all the way from small to medium sized companies to global organisations. We typically work in the automotive, financial services, banking and healthcare sectors. Over many years, we have perfected a highly effective approach that blends selected methods into powerfully integrated programmes. We use a mix of leadership development methodologies, from strategy & change programmes to leadership training, team workshops, psychometric assessments, executive coaching and keynote speeches to get results. 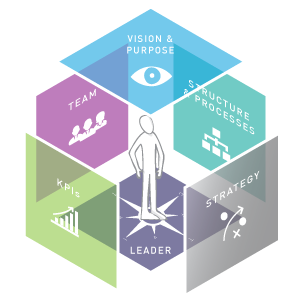 Our best practice approach is based on our proprietary concept ‘The Leadership Cube’. It ensures we deliver the best possible return on investment for our clients.